If you are considering buying a manual transmission vehicle from the great car dealers at the Olympia Auto Mall near Centralia WA, there are a few things for you to consider. There are many pros to owning a car with this type of transmission, and the following are some of the most popular benefits. 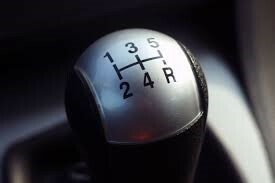 Often the car, truck, or SUV you want will cost less if you purchase it with manual transmission instead of automatic. Aside from the initial savings, replacing a manual transmission can cost up to half as much as replacing an automatic transmission. They are also less technically complicated and can cost less to repair. Your vehicle will also be lighter, so you will save money on gas too. When you drive a stick, you need both hands and all of your attention. This eliminates the temptation to text, tweet, or check other social media accounts. You’ll also be forced to talk hands-free on your phone, if you chose to talk on the phone at all. Driving a manual transmission is fun. You are more involved in the driving process, and it is almost as if you can feel every turn and feel the vehicle hugging the road when you drive a stick. If you are considering buying a new vehicle from the Olympia Auto Mall near Centralia WA, check to see if the model you want comes in a manual transmission. You could save money now and in the future, and you could have a more enjoyable driving experience. For excellent prices and selection, visit the friendly car dealers near Centralia, Washington.